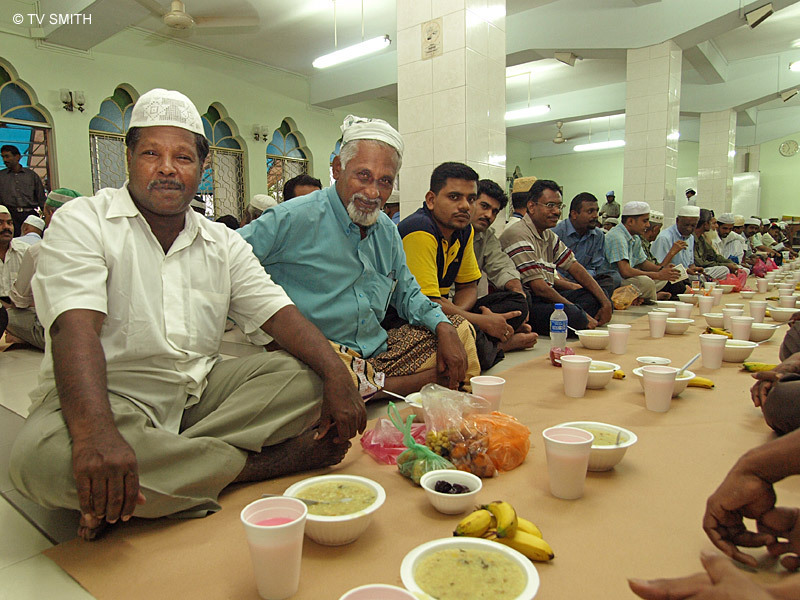 Kuala Lumpur, 13th September 2007: I stumbled upon a mass Buka Puasa session inside the Masjid India mosque today. The very friendly and hospitable folks seem amused but delighted to find a curious noob and a non-Muslim among them. Total strangers offered me all kinds of delicacies and goodies which they brought along. The mosque serves a delicious porridge which is made from an ancient herbal recipe from India. Most of the congregation are from the Indian-Muslim community including some homeless people and transient workers. "Selamat Berpuasa" to all Muslim friends and readers.